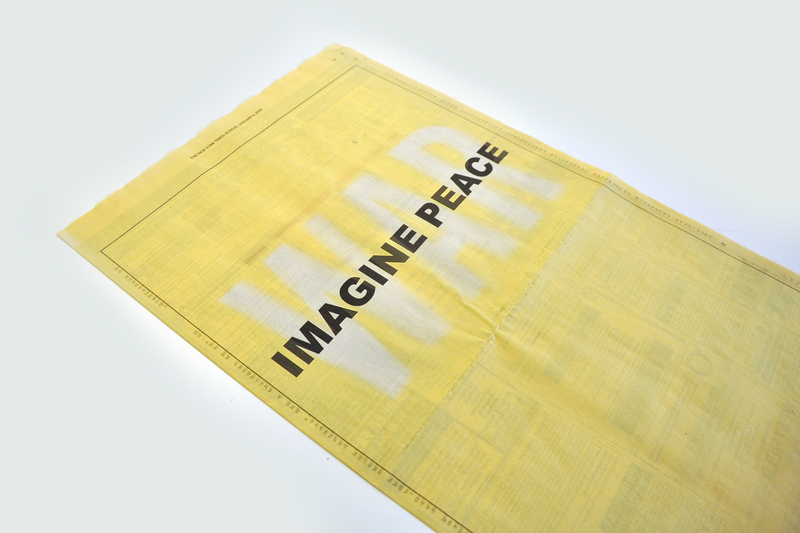 On January 6, 2008 – continuing her message of peace – Yoko Ono took out a full-page ad in the New York Times with a simple, yet familiar message: Imagine Peace. 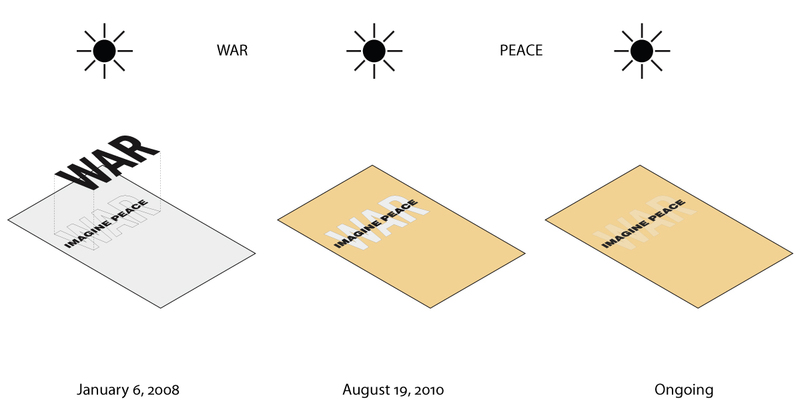 I placed a simple cardboard cutout with the word WAR over her advertising and didn’t remove it until August 19, 2010, the day the last US combat brigade left Iraq. The sun had yellowed the paper and a trace of the word WAR was left, slowly fading away as sunlight now hits the original ad. 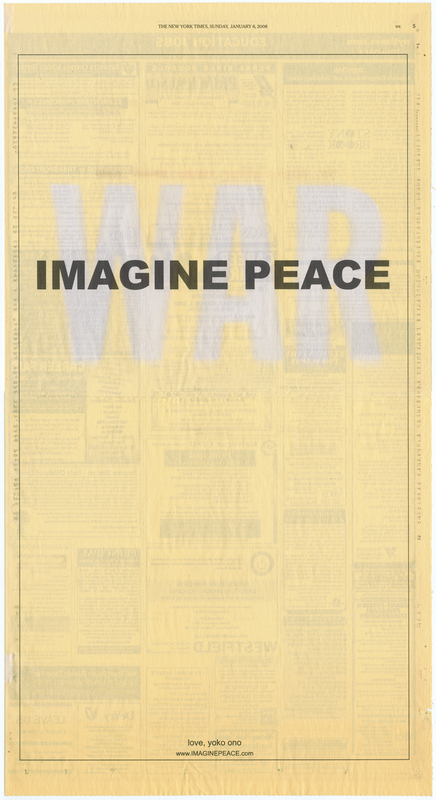 Digital prints (edition of 100, signed and numbered) are available for 65$.